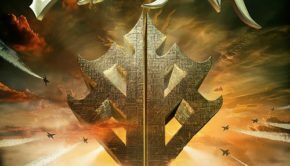 Just when I thought there wouldn’t be any truly remarkable power metal albums from the other side of the Atlantic this year, the German wolf pack Powerwolf leaps into action with another collection of instantly-memorable dark anthems. The Sacrament of Sin is the band’s seventh full-length album, and like the previous six Powerwolf offerings it’s completely addictive. Seven albums in, it’s probably safe to assume people know the basic Powerwolf formula by now: heavy, anthemic power metal with deeper vocals, shout-along choruses and lyrics focused on werewolves, blood and Satan instead of the usual Dungeons & Dragons fare. Essentially Sabaton without the military fetish. Is it cheesy? Sure, but the band (in full makeup, no less) totally embraces it and makes zero apologies. The Sacrament of Sin is a fairly lean album, with eleven songs totaling just under 43 minutes. The flip side of the short running time is that there is really no filler on the album. No skip-worthy instrumental intros/outros, and no subpar songs tossed on to pad the album. As the old saying goes: “all killer, no filler.” Early single “Demons Are a Girl’s Best Friend” let us know exactly what to expect from the album, and howl at the moon anthems like “Fire & Forgive,” “Killers With the Cross” and “Nighttime Rebel” (great Battle Beast vibe on that track) only amplify that. 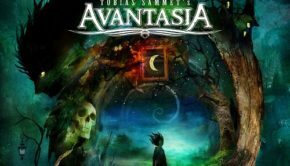 “Stossgebet” and “Nightside of Siberia” are about as close to Sabaton as you can get, and definitely get the blood pumping. If you’re stacking this album up against previous Powerwolf albums, The Sacrament of Sin is perhaps not as great as Preachers of the Night, but is a better (or at least more memorable) effort than Blessed & Possessed. Either way it’s another first-class power metal album from one of the best, most consistent bands in the genre. Aside from the latest Judicator album (which is really spectacular), I don’t see another power metal album coming close to The Sacrament of Sin this year. Fans of bands like Orden Ogan, Brainstorm, Battle Beast and of course Sabaton really need to get this one. 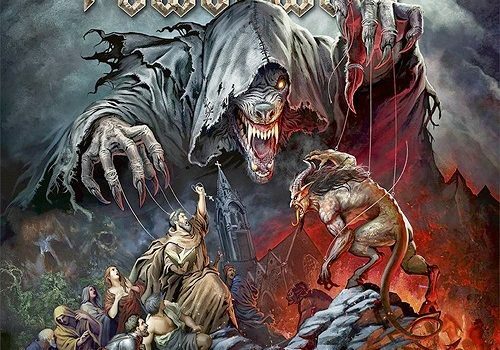 Edition Notes: Once again, Powerwolf deliver a “Deluxe Edition” that’s truly worthy of the name. 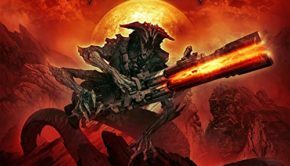 Like the Deluxe Edition of Blessed & Possessed, the Deluxe Edition of The Sacrament of Sin features two discs, each housed in a thick, sturdy digibook inside a sturdy outer box. While the second disc on the previous album featured Powerwolf covering some of their favorite metal songs, the second disc in this set is an entirely different kind of Powerwolf covers album. Titled Communio Luporum, the disc features other metal bands covering their favorite Powerwolf songs. Bands as varied as Epica, Battle Beast, Kadavar, Kissin’ Dynamite, Amaranthe and Heaven Shall Burn (to name a few) all have a go at Powerwolf classics like “Sacred & Wild,” “We Drink Your Blood” and “Amen and Attack,” and the results are surprisingly good. The Deluxe Edition of The Sacrament of Sin is pricier than most 2-disc releases, but they really give you your money’s worth here. 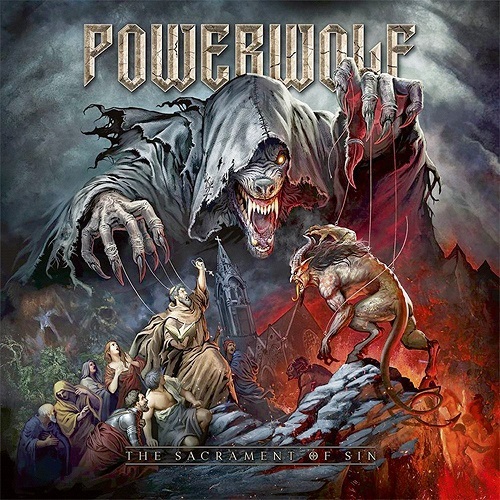 Powerwolf: The Sacrament of Sin (Napalm) Justin G.
Summary: The wolves' reign continues.